He will be speaking at a funeral on his birthday, as well as having an informal family gathering in the evening. 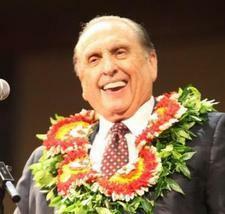 President Monson was born on Aug. 21, 1927, in Salt Lake City to G. Spencer and Gladys Condie Monson. President Monson was set apart as first counselor to President Gordon B. Hinckley on March 12, 1995. He also was set apart as president of the Quorum of the Twelve on that date. He previously had been set apart as second counselor to President Howard W. Hunter on June 5, 1994, and as second counselor to President Ezra Taft Benson on Nov. 10, 1985. President Monson was sustained to the Quorum of the Twelve on Oct. 4, 1963, and ordained an apostle on Oct. 10, 1963, at age 36. Before being called as a general authority, he was general manager of Deseret Press. He began employment with the Deseret News in 1948 as an advertising executive and was later chairman of the board of the Deseret News for 19 years. President Monson also served in the U.S. Navy during World War II, was ordained a bishop at age 22 in Salt Lake City and was called as president of the Canadian Mission in 1959.